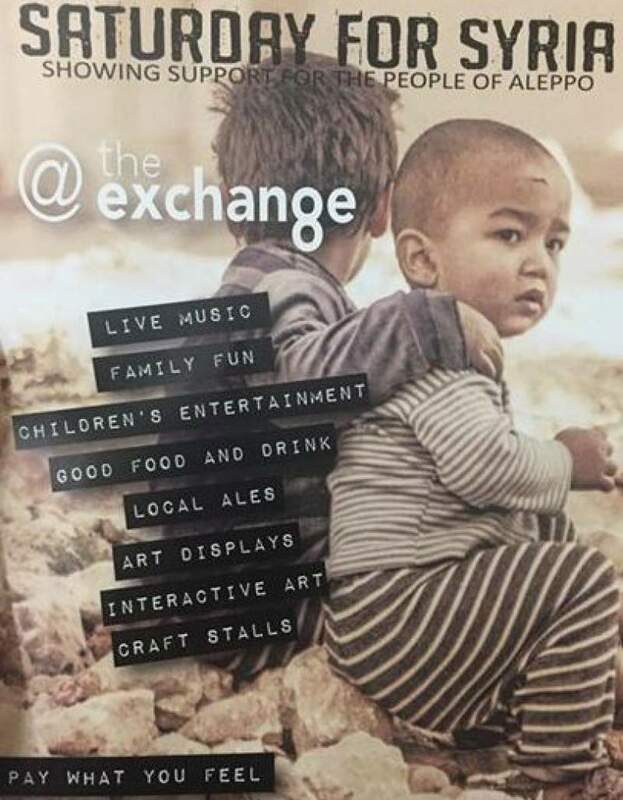 Musicians, creatives and a whole host of activities and entertainment are coming together to raise money for families and children affected by the war in Syria, with Saturday For Syria taking place at The Exchange in North Shields on Saturday 7th January. Seeing Hands are undoubtedly one of the highlights of a stacked bill, the dreamy pop sounds they produce will soundtrack a day in aid of a good cause perfectly. They’re joined by Aaron Duff, vocalist and guitarist with North Shields favourites The Middens, Sam Healy and Connor Thomas. The whole day is held together by Fin Healy, comedian and son of the late Brendan Healy, he will compere the event which starts at 11am and runs through until 11pm. With an acoustic bar stage as well as the main auditorium stage, there’s a real festival feel as Brenda Sokell, Berking Mad, The Beldons, Segedunum Rust, Ellen And Ged, Tinkers And Rovers and Ellen And Grace play before Afnan Prince and Shannon Pearl Powell bring the curtain down on that stage. As if that wasn’t enough, there are craft stalls, and lots of activities for families and children, and a day that packs a lot in as it tries to give a lot back. Saturday For Syria is at The Exchange, North Shields on Saturday 7th January.